Bar Majra is well-connected and one of the most planned developing areas of Mohali in Punjab. This area is significantly catering to the needs of the residents and the working population looking to settle here permanently. ATS Casa Espana is a boon for the buyers looking for a prospective settlement. This unique property has many hats to its feather in terms of connectivity, infrastructure, amenities, and services. This blog will reveal more on this project. Just scroll down to read more. Commutation is a thing that makes a hole in the pockets of most urban dwellers. Do you want an area where you can look for work near your home? ATS Casa Espana Mohali will work for you. It is just 1 KM from new ISBT, 12 KM from Sector-17 City Center, 12 KM from Mohali Railway Station, 15 KM from International Airport, 2 and 5 KM from Max Hospital and Fortis Hospital, respectively. It is near Quarkcity -SEZ, Mahindra Tech, Dell and Infosys. You can easily look for a change in work while living in the ATS Complex. Besides, you need not worry about your family welfare as there are enough amenities, markets, healthcare, infrastructure, and educational institutions to cater to the needs of residents. This super-developed area of Bar Majra is emerging rapidly with Real Estate projects coming up ad attracting dwellers to settle in. 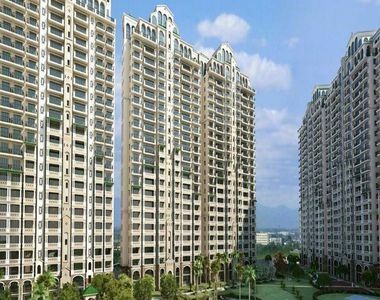 The project offers 3BHK and 4BHK apartments along with villas offering luxurious amenities in easy-to-get payments. It has authorization from PUDA and spread across 16.16 Acres of land. All its 12 Towers with 570 Units on 23 Floors offer various housing configurations to choose from. It is equipped with meticulous design details of vitrified tile flooring, granite counter kitchens, modular cabinets, sunbathed living rooms, and private balconies with finished interiors. Its Mediterranean Themed Gardens will hypnotize anyone with its immaculate detail. discover Spanish Country Style living at the heart of vibrant Mohali as the ATS Casa Espana Price ranges from INR 1.18 Crore to 1.61 Crore affordable by major Punjabi communities and working class. With layouts that features only two homes on every floor, it provides for unparalleled living in privacy and response. With 70% open area, the project has to offer everything for a modern living such as 100% backup for power, safety facilities, lifts, common areas, clubhouse with swimming pool and much more. You can stay fit and active enjoying its seamless incorporation of indoor and outdoor activity spaces in the form of Basketball Court, Tennis Court, Table Tennis Room, Billiards Rooms, Cricket Pitch and Jogging Track. There is also provision for an optical fiber network, video surveillance, perimeter security, CCTV cameras, fire prevention, earthquake resistance and things that worry homeowners. ATS Casa Espana Panjab offers Down Payment Plan on 10% booking, Easy Payment Plan on 10% booking, and Flexible Plan also on 10% booking with varied maintenance deposit, registration agreement and intimation of possession. Log on its website to more details and have a quick possession date. Good luck!